Metal pour spouts from Seal-Spout offer an inexpensive solution for your dry goods packing needs. 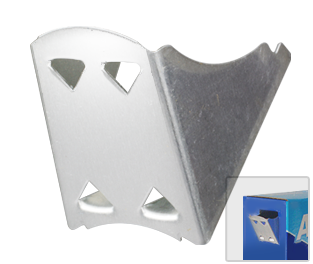 Our metal spouts are durable, corrosion-resistant and lightweight; require no precutting for insertion; and offer superior penetration. For more than 60 years, packagers have used our metal pour spouts in a broad range of applications. They are manufactured in a wide variety of shapes and sizes and can be customized to suit your product’s packaging needs. Metal pour spouts are manufactured in a wide variety of metals, though aluminum is generally preferred. Our metal pour spouts are the best choice because consumers love them; they are easy to use; and they don’t leak when the package is knocked over. Manufacturers love them because they are inexpensive and enables them to shop their cartoner, and their customers love them! And packagers love them because they are from Seal-Spout, the leader in spout manufacturing and spout insertion. Our metal pour spouts preserve the contents from contamination, moisture and accidental spills; they are FDA approved for food products and have a long history of consumer-friendly use. They can be opened with the tip of the finger and closed tightly and sealed with the push of a fingertip. Metal pour spouts can be used for a wide range of applications, including: dish-washing detergent, fertilizer, chemicals, salt, rice and more. Seal-Spout spouts and spout inserting machines are the most cost-effective packaging solution, with spouts costing as little as $.01 per carton.